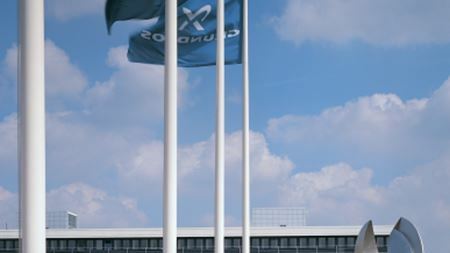 Grundfos Group president Carsten Bjerg has agreed to step down after six years in the role. Xylem Inc has relocated its corporate headquarters from White Plains to Rye Brook, in New York state. Pentair Ltd has signed a term sheet with the Ali Abdullah Al Tamimi Co to set up a manufacturing and service facility in Dammam, Saudi Arabia. Rapid industrialisation, increasing government initiatives and agricultural developments will all contribute to growth says TechSci Research. Denmark's environment minister opens Aarhus project. Wilo has reopened its offices, showroom and warehouse in Jebal Ali Free zone, Dubai, after renovations and applying the new Wilo corporate design and logo. Adelaide, Australia-based valve manufacturer Maric Flow Control is celebrating its 50th birthday with record sales and exports. The Hydraulic Institute (HI) will host its 2014 Annual Meeting at the Wigwam in Litchfield Park, Arizona from 6-11 February 2014.